Everyone needs a tree skirt. This article is about skirts you can make with patterns and tutorials. Some skirts are not hard to make. I made some years ago for our tree and for our kids' trees. Mine were just fabric. I added sparkles and Christmas cloth decals with fabric glue. They turned out pretty. They took some sewing, but they were fun to make. I always cut my circle for my tree skirts with my husband’s help. We folded our fabric in half and cut out a circle with a string attached to a pen or pencil. When I made mine I also added a lace edge. You can add any kind of trim you would like or make your own trim for the edge and glue it on. I also used quilted fabric. 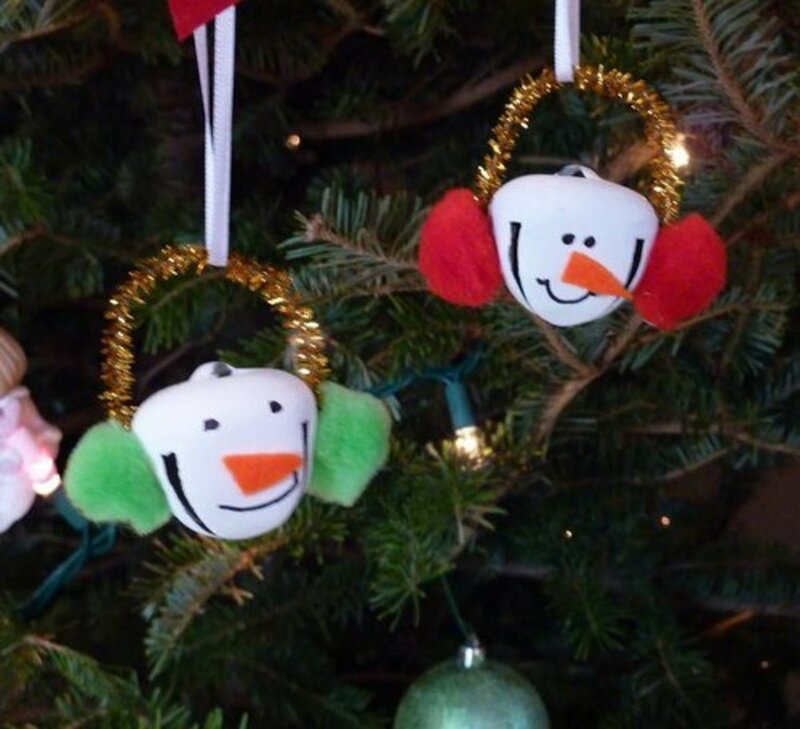 Use any kind of little add on items you want like buttons, charms, felt snowflakes, pom-poms, beads, or the family name. Many items can be found in craft and sewing stores or make your own. Fabric paint can also be used to add designs on your skirt. Your skirt only comes out at Christmas, so if you don't want to sew it, gluing will work fine. It wouldn't hurt to sew a little tack by hand onto each item you add then glue. I know with some items you won't be able to do this. The tack would make it more secure, if possible. Below our daughter's friend made her tree skirt from old pants. I think it looks very pretty reminds me of the country. It's always good to reuse and not waste anything you have. This is a no-sew skirt from HGTV looks great and is easy to make. 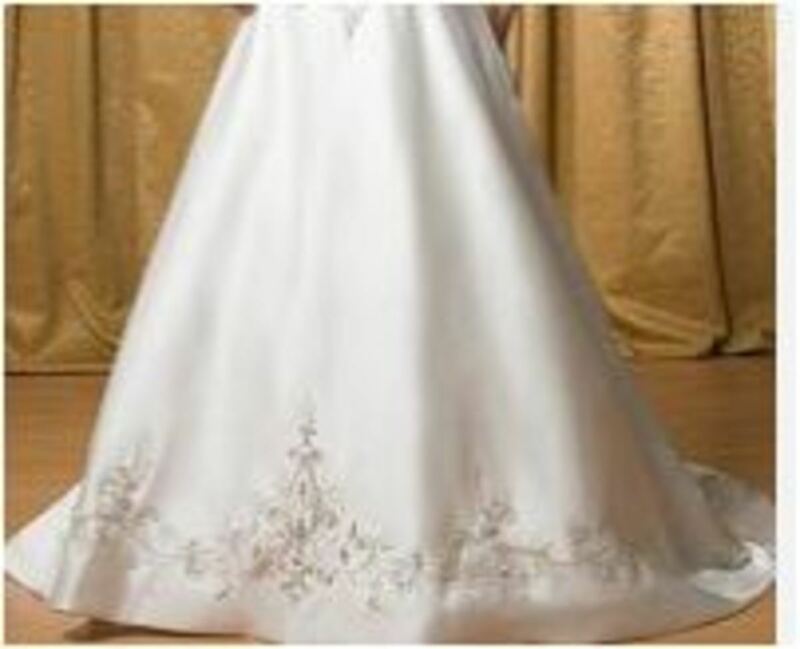 Bridesmaid or old wedding gowns also make pretty skirts for your trees. No one ever seems to wear a bridesmaid dress again, so why not put it to use for a skirt. Any skirt you might have will do, especially if they're lace. Cut up and turn into a tree skirt! Tina, over at Tina's Treasures, can show you how. Also old table cloths, curtains, quilts, and bedspreads can be used. If it's a round tablecloth, you're almost there. Just cut a slit up the tablecloth until you get to the middle. Then cut a circle in the center. You can finish it off by sewing a ribbon around the hole and down the slit, add hooks for closure. This skirt is made out of ties and sales for $1200. Your can buy it or make one yourself. The pattern on this picture is different from the tutorial I found on making tie skirt, but it's pretty close. Visit Thrifty Fun to start your adventure. 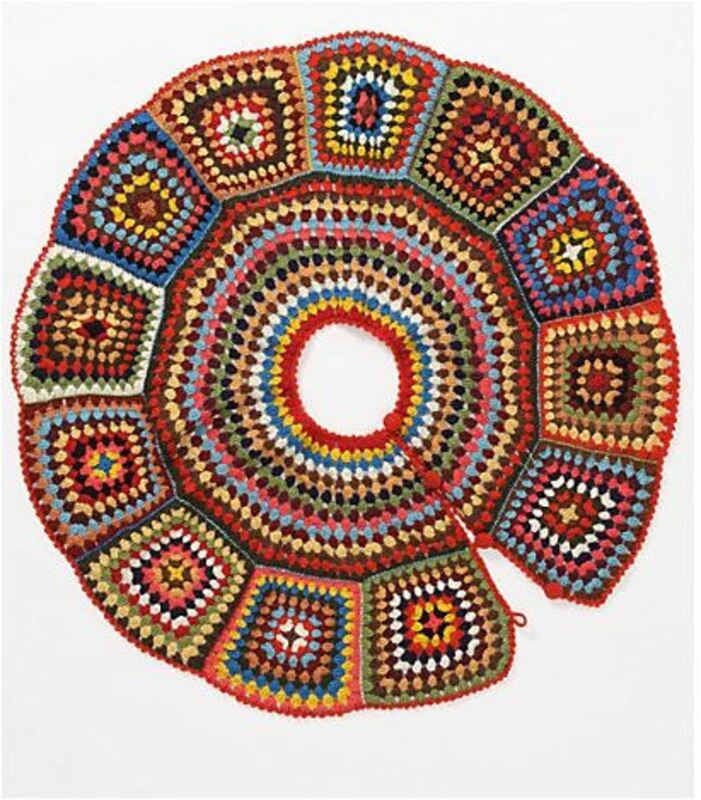 You can also crochet or knit a tree skirt. My mother-in-law crocheted hers years ago. This one is crocheted with granny squares. The fleece skirt is kind of neat because it takes very little or no sewing. We make blankets out of fleece every year because they don't require sewing, just tie the two fabrics together. This skirt is the same. Skirts can also be put together with no sewing just by using iron on fabric tape or by using fabric glue or hot glue. Try Another Fabric: You might also consider making a skirt from velvet, brocade, lace, cotton, muslin, oil cloth, or felt—anything and everything, really. Make the skirt look modern or country. Burlap sacks make nice skirts. Decorations added to a skirt makes it look so festive. Add Photos: You can also add family pictures to a skirt by printing on transfer paper and ironing onto your skirt or printing right on fabric and making the skirt from this. Use a Pattern: Patterns for skirts can also be bought at the fabric store or anyplace which carries patterns like Simplicity or McCall's. In our house, there was always more than one tree. Our kids like to have small little trees in their rooms. So we needed more than one skirt. I love this coffee bag skirt because it's so pretty. Quilted skirts are always popular, and there are many patterns on the internet. The link will give you the pattern for this skirt. Spiral and square block skirts are pretty easy to find. Remember skirts can be made out of old clothing fabric made to look rustic with old denim shirts or jeans. Items You Can Use For Your Skirt.Closure. 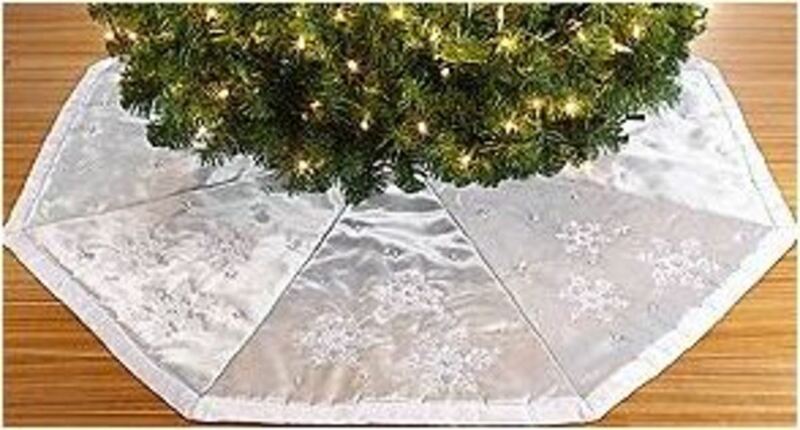 On your tree skirts, you can use any kind of closures you would like. If you don't want to make your skirts, consider going to a Christmas craft show. They are usually loaded with skirts. You also might be able to talk a crafty friend into making you one. I finally dug out my own skirt. This is one of the many skirts I have made. As you can see, this one did take some sewing. I used quilted fabric so that I didn't have to have a lining for the back. I added the lace, and this is about all I did to it, besides cutting it and seaming it together. I made the skirt big enough so that lots of gifts could sit on top of it. Most of the time this where the cats slept. Skirt patterns can also be found in quilt shops. We went on a quilt trip this weekend, and I saw so many nice patterns for skirts. Visit quilt shops even if you don't buy because you will get some great ideas for making skirts. 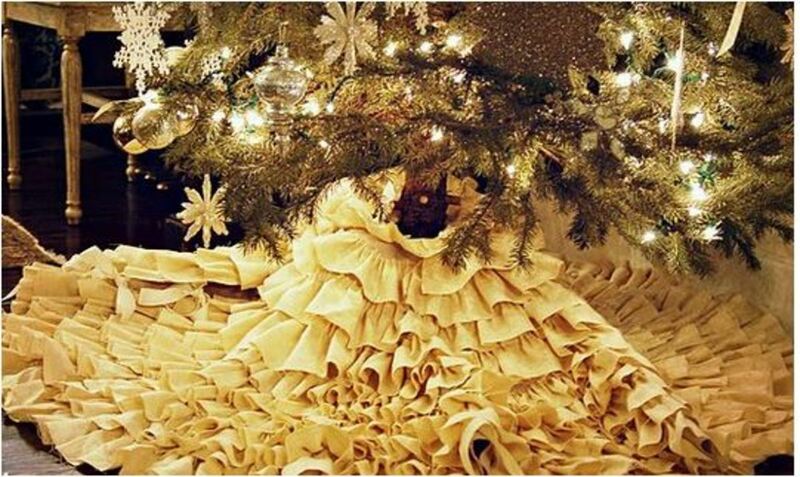 What is your favorite tree skirt. Another Way To Cut a Circle. Suzanne, Thank you for stopping by I appreciate your visit. LOVE this and just had to let you know. Thank you so much for sharing. WiccanSage, The tie skirt is really neat. Thanks so much for stopping by. CraftytotheCore, I know so many people are allergic to real trees it's not worth bringing them in the house. We got a fake tree last year. I have a small white tree that I'm putting up this year we're not having much company instead going to the kids homes for Christmas so why bother to put up the big tree. Thanks for stopping and for sharing. Awesome, I just love the tie skirt-- now I am going to have to start collecting ties from the thrift shop to make something because it looks too cool. Great ideas here. These are so beautiful. My favorite one is the fairy one up at the top. I haven't ventured in to making a tree skirt yet. This year we bought a real tree like we do every year. We got it for $20 on special at the hardware store. Unfortunately, I'm allergic to trees. Every year my asthma worsens this time of year. So silly us brings this live tree home and I get terribly ill. I ended up getting an artificial tree, decorating it with fake snow around the branches, and putting sheets of snow underneath the tree. It actually looks pretty neat. But I have always wanted to make an heirloom tree skirt to pass down. So thank you for this Hub! I'm sharing! carter06, Thank you so much for coming by I appreciate it. Au fait, Thank you I appreciate all you do for my hubs. 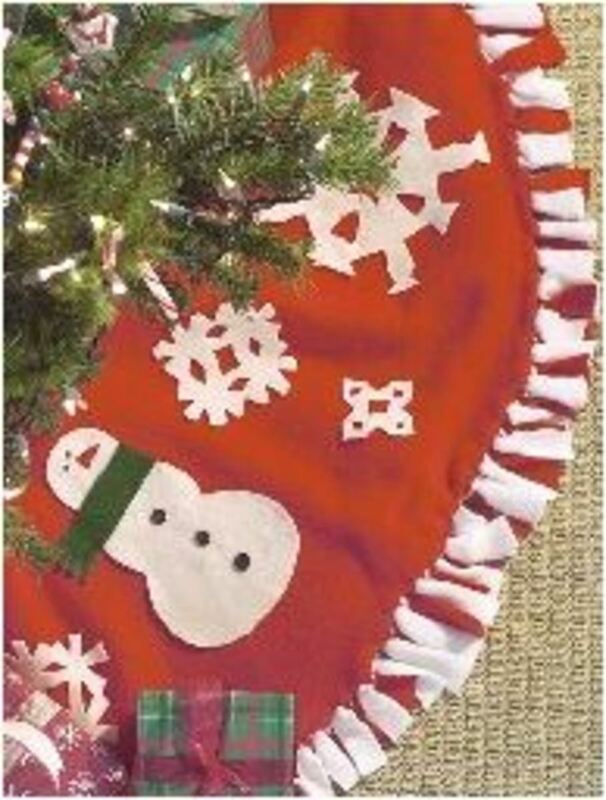 Pinned this again to my 'Christmas II' board, this time with the red and white snowman/snowflake tree skirt. 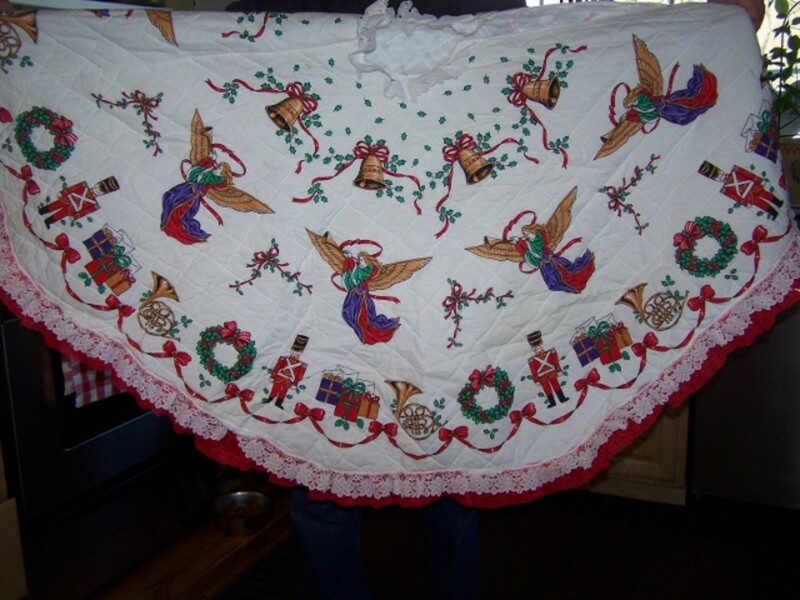 Christmas is just 2.5 weeks away, still time to make an heirloom tree skirt, and I want to help you promote this article as much as possible before this season is over. Sharing again, too. Au fait, Thank you and thanks so much for the pin and sharing. Thought I would come back and share this again because anyone thinking about making a new tree skirt for their own tree or as a gift will want to get started pretty soon. 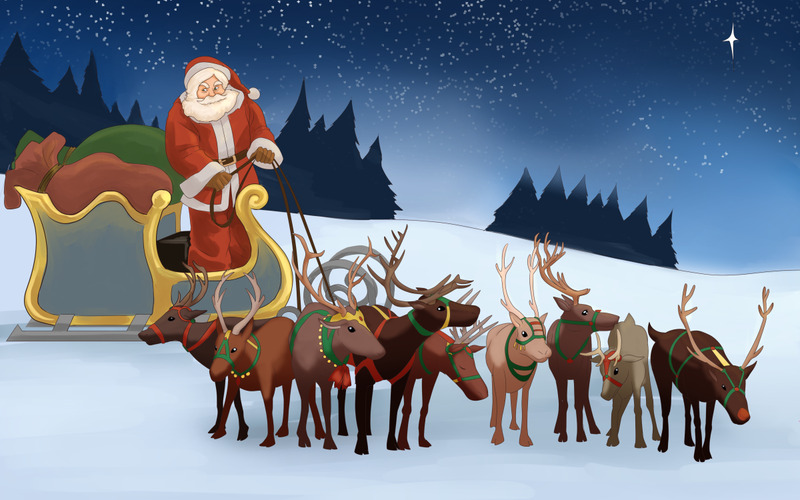 Only 25 days 'til Christmas! Where does the time go? 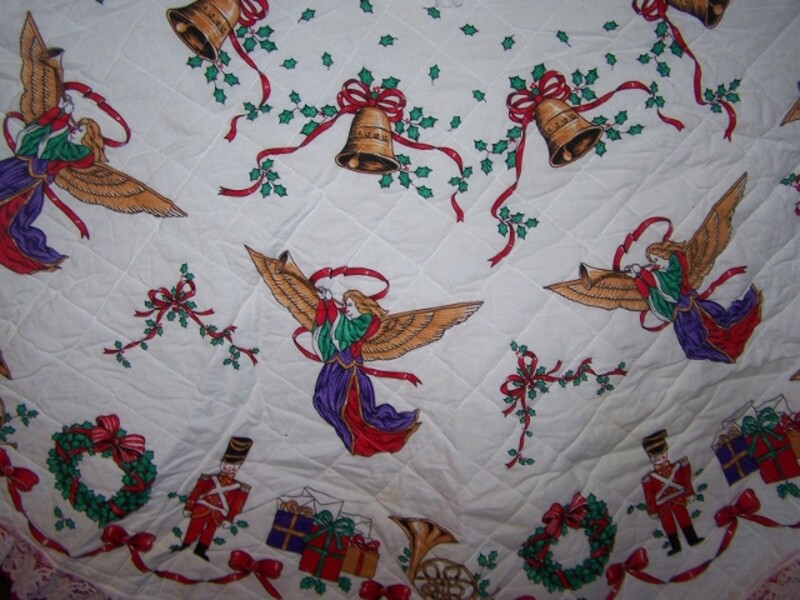 A tree skirt can make a wonderful heirloom especially when it's handmade. You have some really nice examples here. Voted up again, pinned to my 'Christmas II' board, and sharing. Indian Chef, Thank you so glad you stopped by. I appreciate the vote. Very very beautiful pictures . I have never seen people celebrating Christmas as I do not know any Christian here but the pictures are very beautiful. sharing, voting up and awesome. DDE, Thank you and thanks for the vote, so nice you came by. Au fait, Thank you and thanks so much for stopping by and for the share. Came back to pin this article to my 'Christmas' board and to share it again. 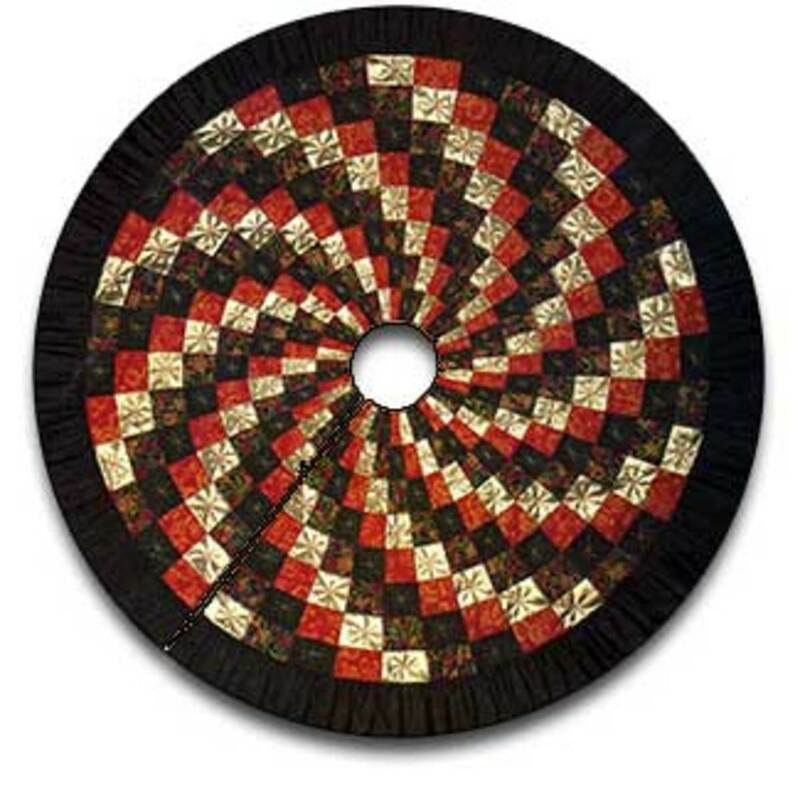 A handmade tree skirt can make a beautiful heirloom and you have lots of examples of different kinds of tree skirts here. Going to share again, too! TopTenChristmas, What a great idea for the family. Thanks so much for stopping by. It's obvious you spent a lot of time on this. My family makes a homemade Christmas skirt each year. So, I'm working on finding exactly what I want to do. I think I've at least got some new ideas here. rajan jolly, Thank you so much for stopping by and for the vote. 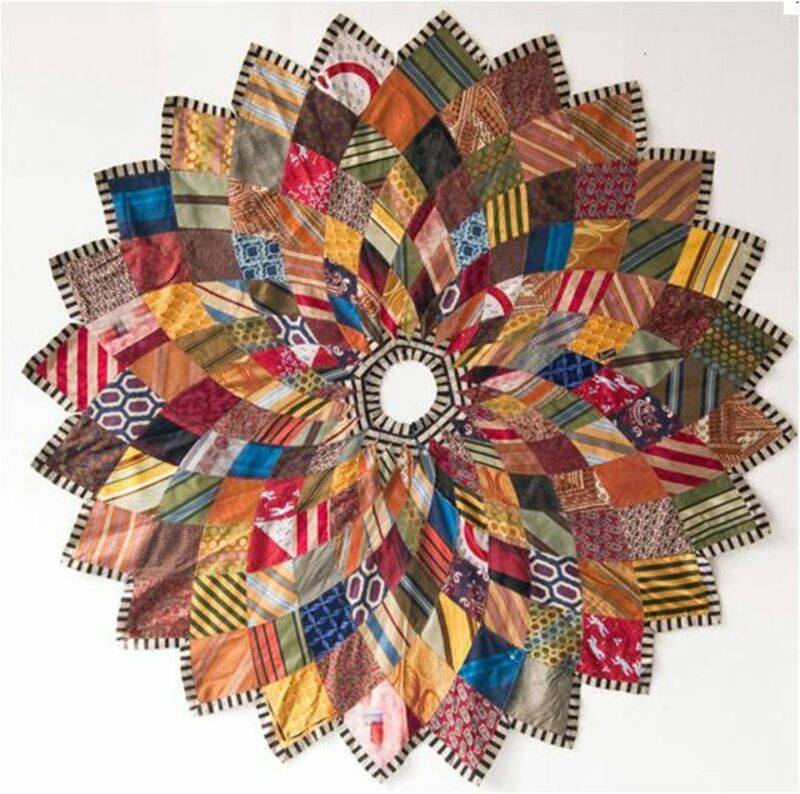 I love the different varieties of tree quilts and appreciate the tutorials as well. Thanks for sharing. Voted up, beautiful and interesting. Lovely pictures. Peggy W, Thank you I appreciate it. Thanks for visiting. I'm going to start a new Pinterest board titled Christmas and will pin this hub to it. 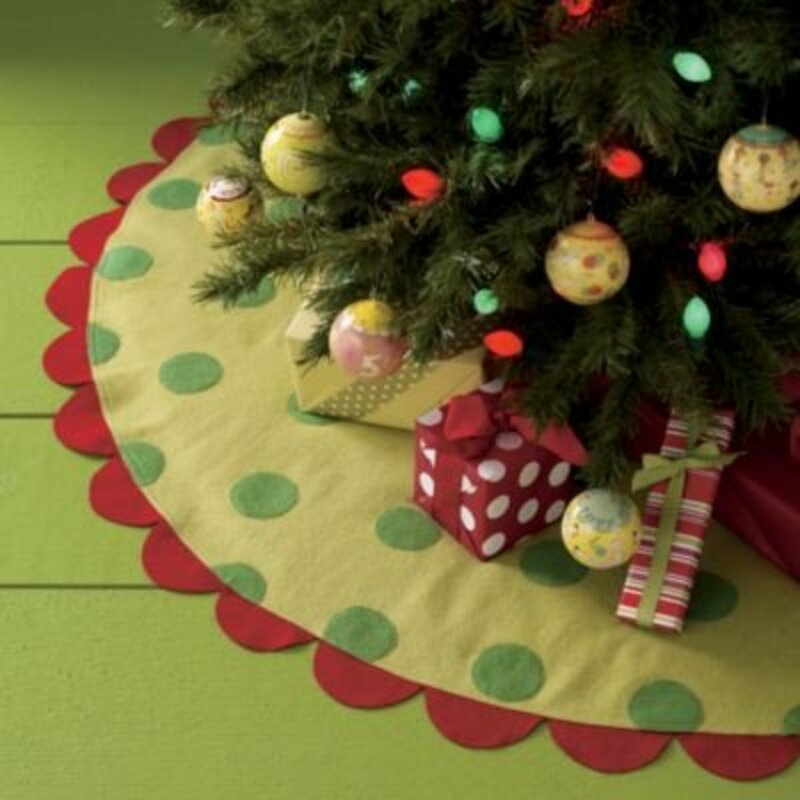 You have so many good ideas in this hub for creating beautiful Christmas tree skirts. Deborah-Diane , Thank you for stopping by I appreciate it. This is an amazing Hub. 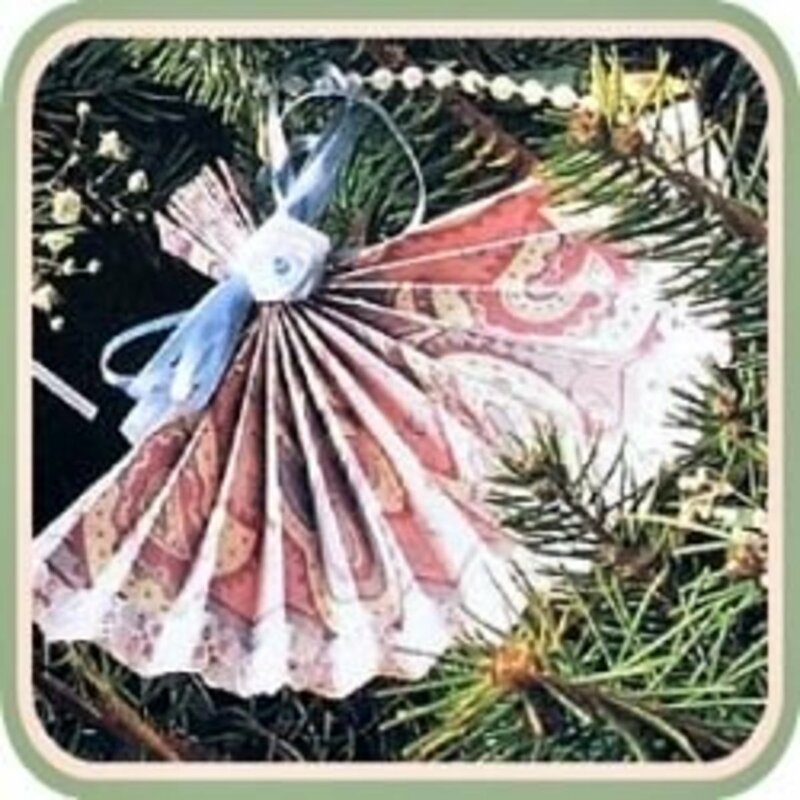 I love the variety of Christmas tree skirts you have made here, from the elegant to the whimsical, like the one made from ties. Very clever and creative. Definitely a Thumbs Up! Peggy W, Thank you. I know just what you mean I'm starting on quilts now for Christmas gifts. Thank you for the share. Since we are sharing Christmas hubs even if off season...I came back to take another look at this hub. Will share because people might wish to think of making some of these tree skirts to give away as gifts and it is never too early to start when it comes to making homemade gifts. I have a friend who with others in her group sew year round to make and give Christmas stockings and other sewing crafts to the elderly in nursing homes, and different children's groups. You have some great ideas here! tebo , I always hate the ugly containers. Tree skirt work great to cover them and can be made from just about anything. Thanks for stopping by and leaving a comment. Nell Rose. Thank you so nice to see you and thanks for the vote. tillsontitan, 8 trees I bet they're beautiful. You have to do a hub showing all your trees. Thanks so much for stopping by and the vote and sharing. Au fait, They are fun to make. Your right it is some a child could help with. Thanks so much for stopping by. These are lovely. I haven't seen them before either, but I think they are a great idea for covering up the container you have your tree in. Must see what I have that I could use. Thanks for the ideas. With eight (yes 8) full size Christmas trees in my home I am always looking for something different. Your skirt ideas are phenomenal! I love everyone of them and of course your pictures are great too! I voted this everything but funny...also shared. You are so clever! lol! I wish I had the patience and the talent! these are great, voted up! A fabulous hub for this time of the year! You have included so many great ideas and beautiful photos for inspiration. The photo of the tree skirt you made yourself looks like it was so fun to make and enjoy. Cutting circles is so easy and then decorating them with the help of young children can add to the fun. Great hub! Voted up, useful, beautiful, and will share! Tashaonthetown, Thank you I love mine. They are really showing up in different places. So easy to make. Thank you for stopping by and leaving a comment. This is a great idea. I am going to make one! The Dirt Farmer, I saw a pretty skirt in Home Depot but the thing was 49.50. That's awful because it really takes such a small amount of fabric. I like the burlap one too. Thanks so much for stopping by. Sherry Hewins, A hooked rug one sounds nice. I have never seen a hooked one. Thanks so much for stopping by. rebeccamealey, There is so much to pick from in making skirts now days. When I made ours there was lots to decorate with. Of course, we live in a small town that might have been why. Thank you so much for stopping by. Thanks so much for sharing always nice to have revisit one of my hubs. Those are beautiful. I love the polka dot one at the top. My kids helped me make a hooked rug tree skirt from a kit years ago. I still use that skirt every year. How clever! 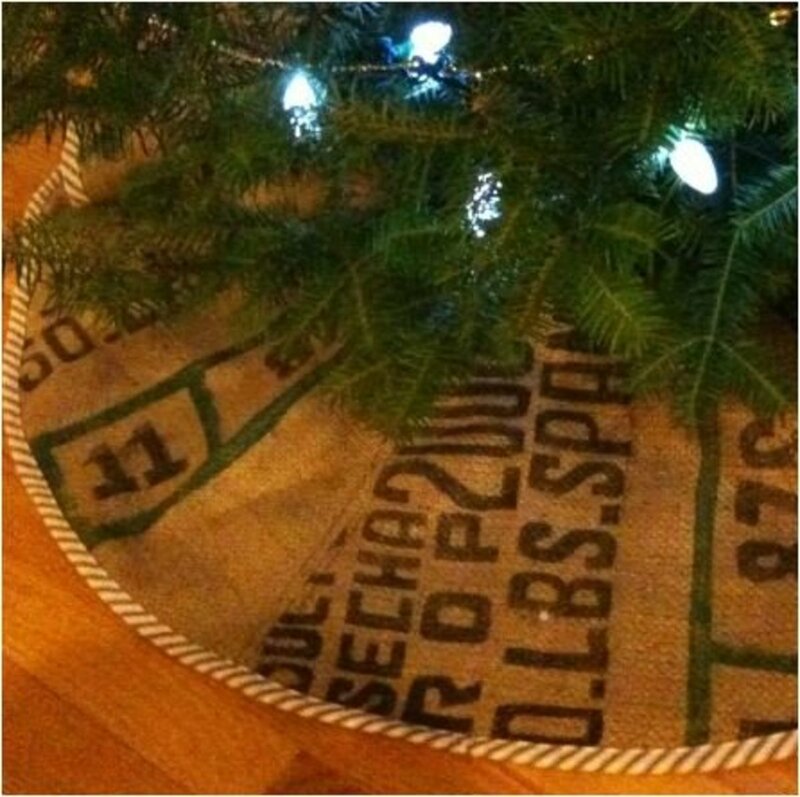 I never thought of making my own tree skirt. And I just bought one last year. These are so pretty! 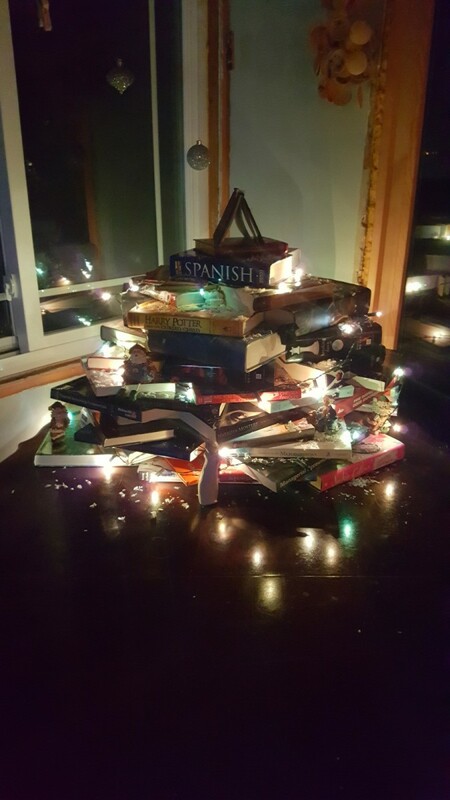 Came back to share this time as people might like to use these ideas for their Christmas trees. 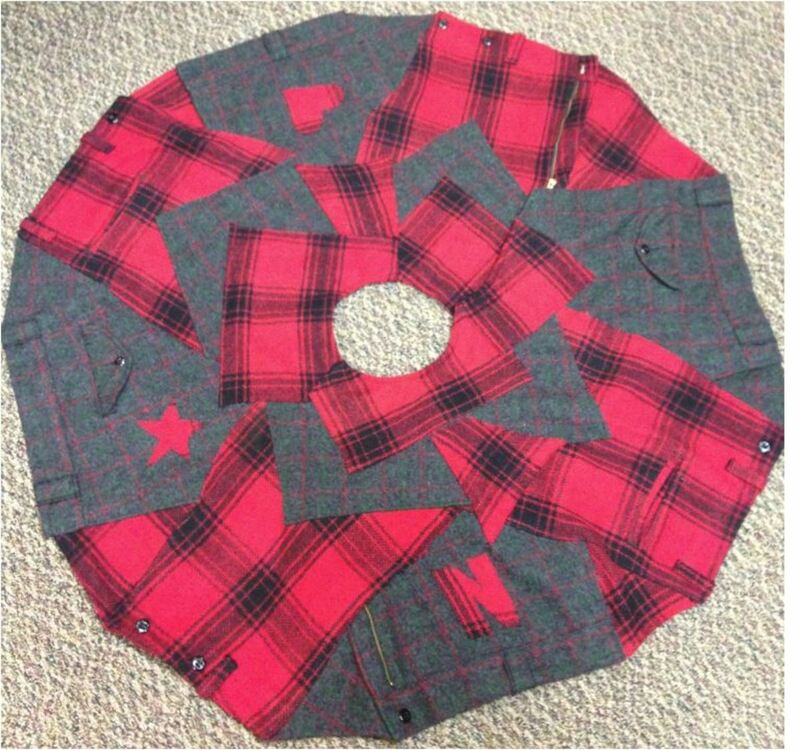 Some great looking Christmas tree skirts here! pstraubie48, How smart of your daughter to use clothing from each person. I bet they were cute. It's always so much fun when there is a little one to share Christmas. Our kids and grandkids aren't little anymore. Thank you so much for stopping and for sharing and pinning. pinappu, Thank you and thanks so much for stopping by and leaving comment. Yes I am getting Google traffic. You have taken so much pain to write such a hub. How much time you spent for it? I think you are getting 60-70 viewers daily for it. Are you getting any Google traffic? perlongnina, Merry Christmas thanks for stopping by. TattooKitty, If I can make them anyone can. They are really not that hard to make. Thanks so much for stopping by and leaving a comment and thanks for the vote. Rusti Mccollum , Thank you so glad you enjoyed the hub. Your grandkids will be happy to get them I'm sure. There are so many ideas out there for skirts. Thanks so much for stopping by. I appreciate it. How exquisite!! I absolutely love the quilted versions...so dramatic and full of life! Thanks for sharing this...maybe I'll give it a try this year! Voted up!! I made all my kids stockings and tree skirts. They take time, i do felt sequins that type . They give me the old Cristmas feeling when I was a kid. I have to say I LOVE the quilted one! they are all beautiful and amazing . Soon i'll start making my grandkids and I'll incorporate your tips and ideas! Thankyou very much! Mama Kim 8, Thank you so glad you stopped by. I hope it will become an heirloom. Thanks so much for pinning. Taking the time to make your own beautiful tree skirt is wonderful. Plus it will probably become a family heirloom ^_^ Great overview of the different types. pinning! Jamie Brock, Brides are doing it and paying photographers to take pictures of it. It’s hard to believe they would put out money for that. Thanks for stopping back by. Jamie Brock, When is see all the brides that destory their wedding dress after the wedding because that is the thing to do just makes me sad so much they could do with that beautiful fabric. Thank you so much for stopping by I appreciate it. DMVmimay, Thank you for stopping by and leaving a comment and a thumbs up. I appreciate it and glad you like it. RTalloni, Thank you glad you enjoyed the hub. That is true they could be applied to any project. So glad you stopped by and left a comment. Such beautiful examples you have here! 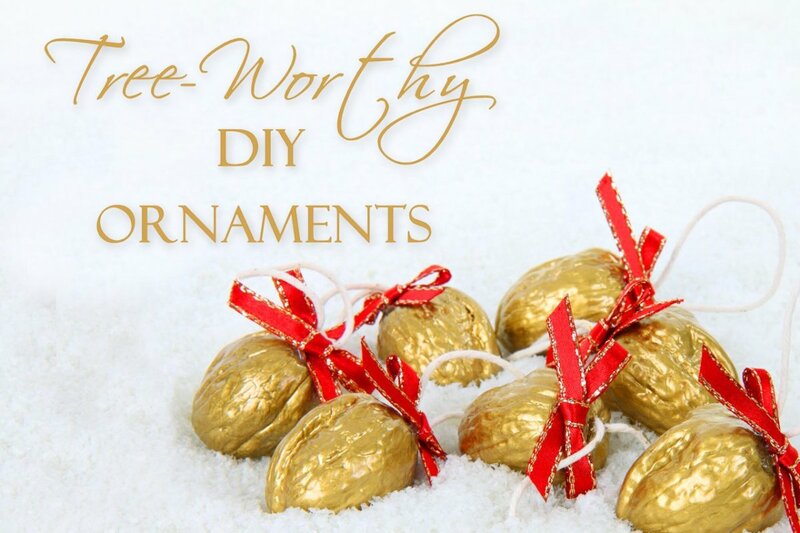 Your tips are great and the tutorials would be worth going through for reasons beyond making a tree skirt. 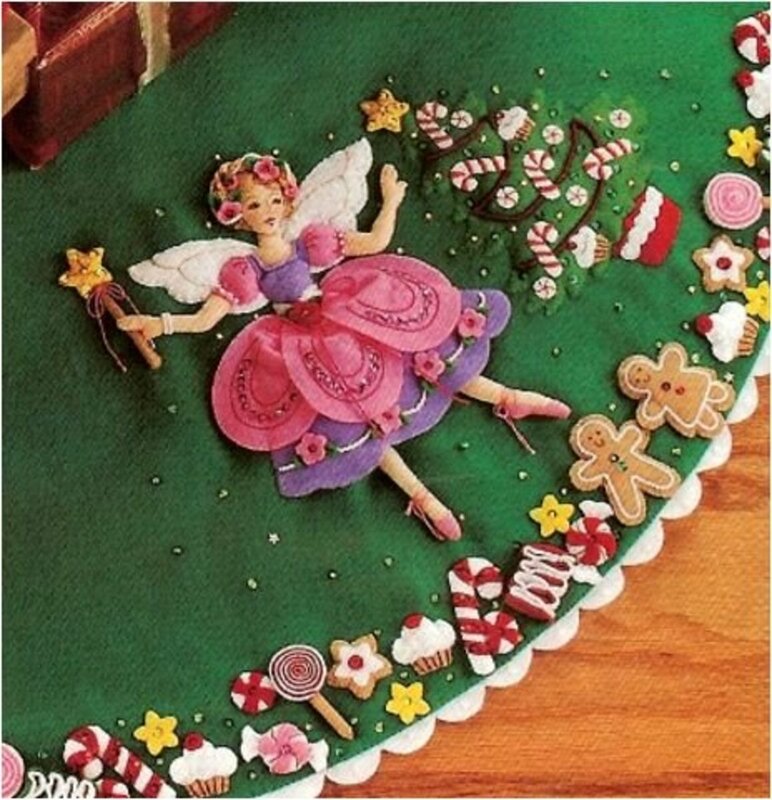 These tree skirts have details and techniques that could be applied to other projects. KoffeeKlatch Gals, Thank you I'm glad you liked it. If I made another one I would make the muslin one I love it. Thanks so much for stopping by and for votes. moonlake, what wonderful tree skirts. Each one is unique and beautiful. You have given me many ideas for my own tree. I especially love the last skirt, the one under your tree. Up and awesome. Athlyn Green, That second tree skirts seems to be the favorite. Thanks so much for stopping by and for the vote. That second tree skirt is particularly fetching but all the tree skirts complete the Christmas trees. Voted up. Your welcome so glad you liked the hub. Thanks, for stopping by. What a beautiful gallery of different designs... I love these hub tutorials too... thanks so much! You are so right they are easy to make. You don't have to sew to make them. Thanks, for stopping by and leaving a comment. Good Hub! I wouldn't spend big bucks for a tree skirt, when they are so easy to make. Thanks for stopping by my hub and leaving a comment. I really like the fairy lady one also I think it would look good on any tree but I think kids would really like it. These are really attractive Christmas tree skirts moonlake. You know, I learn all kinds of cool things on the Hubs that I never really thought about before. The ruffled one's different and the fave(sssh-don't tell anyone) is the fairy lady with the Gingerbread men. Thank you, for stopping by. I was looking at skirts yesterday in the stores there are some pretty ones to buy but so expensive. I like homemade the best. Very useful and informative hub. I've had a hand-made Christmas tree skirt for many years now. It just makes the tree look so decorative. That works to use a quilt. 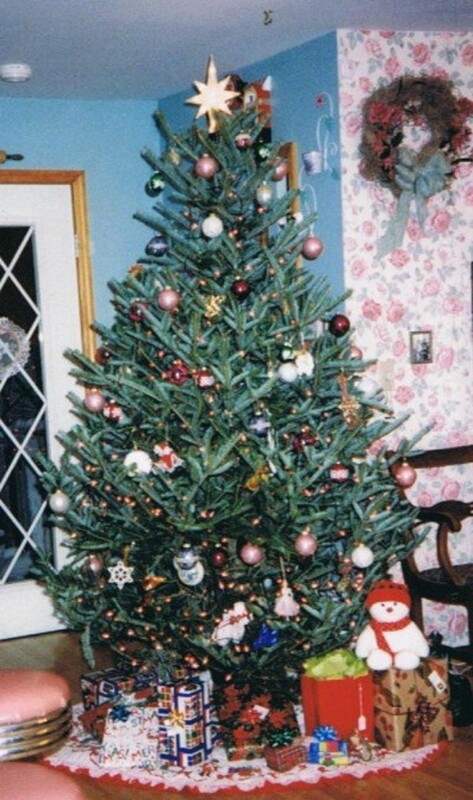 Before tree skirts we use to use like a cotton batting around the tree. I think they still sell it. Interesting hub! I started a quilt (red, white and green) and never got around to finishing it. I use it now for my tree skirt. Thanks for the info. Thanks for stopping by and leaving a comment. We use tree skirts here all the time. I don't think I have ever seen anyone's tree that didn't have a skirt on it. Thanks so much for the vote. 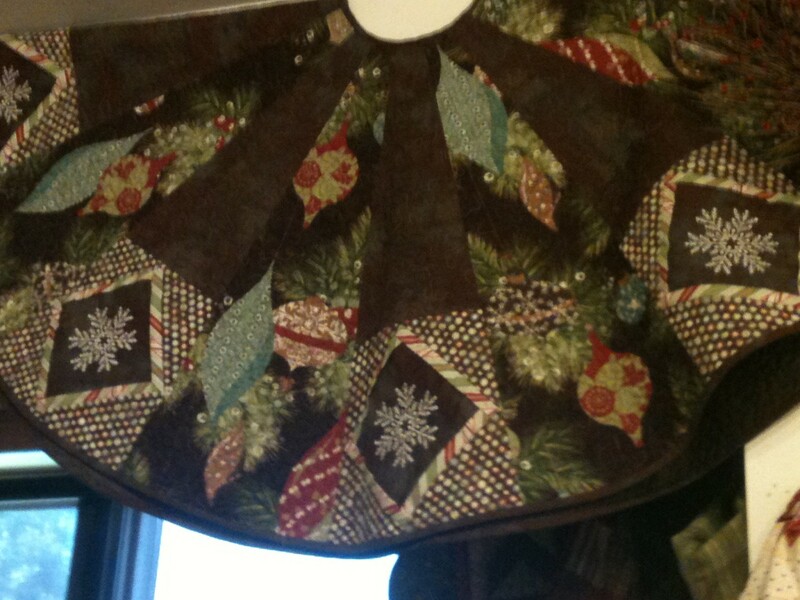 A tree skirt, this is completely new to me, I have never even seen one. 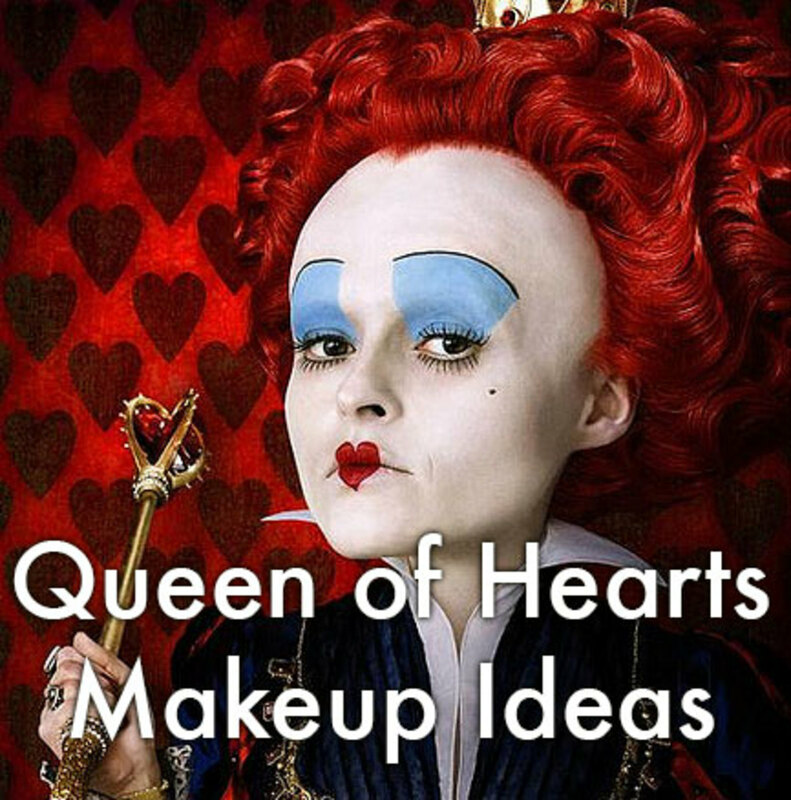 Lots of ideas here for making one, voting up and I just hope I will have time to make one! Thank you for stopping by. We have also had a smaller tree the last few years. I still have my skirt and keep hoping we will have a larger tree again. I'm not real crazy about the smaller tree. Thank you for the vote. Thanks for stopping by. Glad you liked the skirts and thanks for the vote. Since we no longer have a big Christmas tree we will probably never be in need of this advice...but I love it just the same! Such great ideas and they are pretty depending upon one's décor. Voted up, useful and interesting. Great good ideas for Christmas skirt which I already have. Vote your good hub up and useful interesting. Thanks for stopping by and leaving a comment, glad you liked the ideas. This is what I need to make for my Christmas tree this year. Thank you for the great idea!